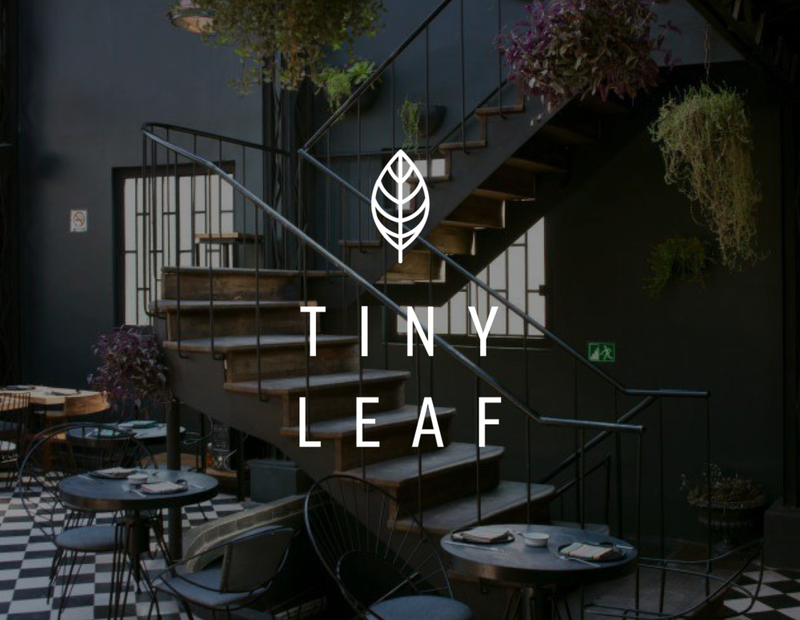 Tiny Leaf was London's first food-surplus restaurant. Food waste generates 3.3 billions tons of carbon dioxide globally, accelerating climate change. Tiny Leaf receives food from supermarkets, wholesalers and other food suppliers, food that is fresh and nutritious, but cannot be sold for various reasons, and uses it to make fresh and delicious meals, served in pop up restaurants and food bars. 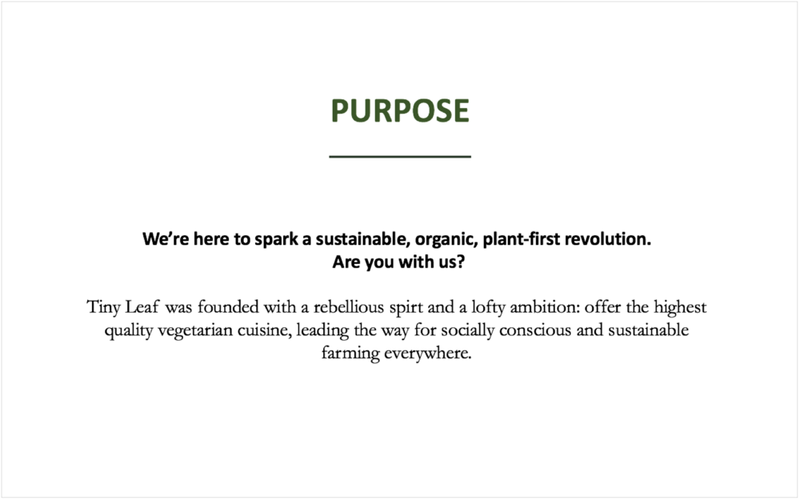 The challenge: create a vegetarian surplus food offering which appeals to foodies of all ages. 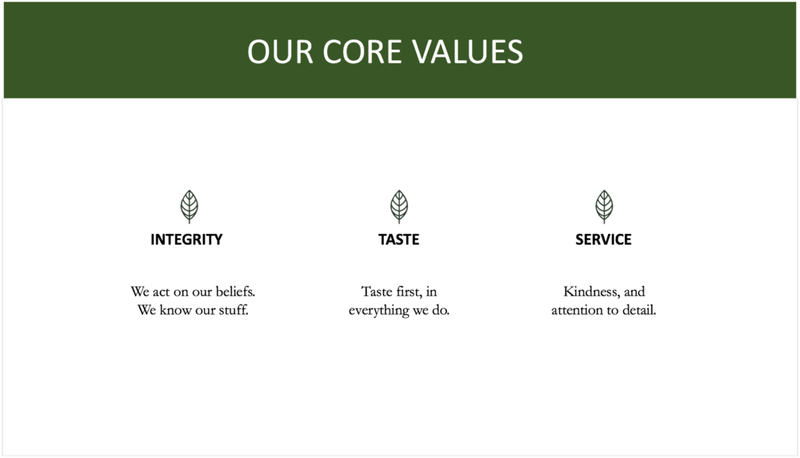 The solution: A name that suggests a small footprint, an experience that would appeal to casual fine diners, a mission and a set of values that propel the brand forward and attract advocates.